Mount & Blade 2: Bannerlord introduces a ton of new features to the medieval sim, including fully controllable siege weaponry, weapon crafting and replays. We got some new Mount & Blade 2: Bannerlord footage thanks to gamescom 2015, but TaleWorlds has now offered a great deal more information and context for the snippets we’ve sen so far. The video below is probably where you want to turn your eyes first, but if you’re the reading sort a new developer blog post is full of juicy intel. Taleworlds has said the siege weapons shown in new footage are all fully controllable by players and AI, and their placement is controlled via a deployment screen. You can change orders on the fly during battle, which is important if you’ve made a mistake about the terrain, which will be much more varied this time around. Castle and villages are now integrated and will be managed from the same menus. Players and AI alike will modify and expand their settlements, and players will need to make work assignments to pursue construction and production projects. There’s a great deal to take in – board games as diplomacy, weapon crafting, inventory overhauls, and much more – so hit the link above for all the details. 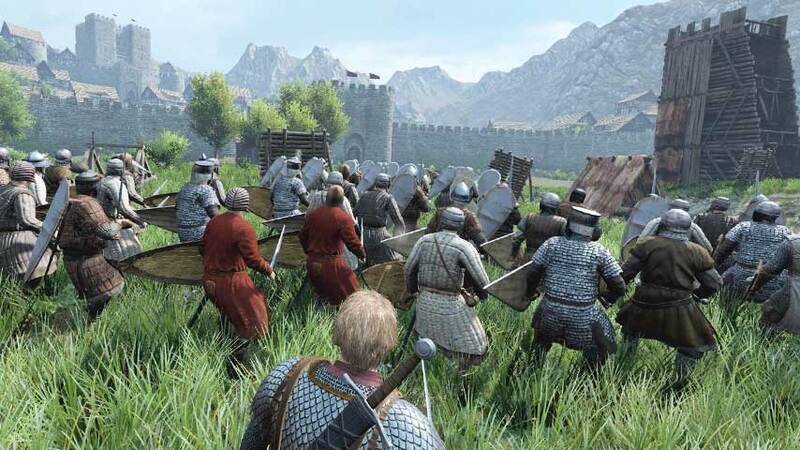 Mount & Blade 2: Bannerlord is coming to PC but has not been dated.